Accepted Full paper Authors. Please kindly follow the instruction below when preparing your final submission. Recall that the final manuscript must be uploaded by Aug. 14 ->DELAYED: by Aug.23 due to the technical issues of the registration system. Do not include headers or footers. Use the (free) IEEE PDF eXpress service to perform all verification checks. This ensures the final PDF version of your paper is compatible with IEEE Xplore®. Enter the following: 36448XP for the Conference ID, your email address, a password. login to PDF eXpress (Conference ID: 36448XP) and create your camera-ready for final submission. The file returned by the PDF check will be labeled within its document properties as being “Certified by IEEE PDF eXpress” with an exact date and time stamp. The certified file is the file that should be submitted to the conference. An author of an accepted paper is required to register for the conference at the full rate, and must present the paper at the conference. Registration fees must be paid prior to uploading the final IEEE formatted, publication-ready version of the paper. For authors with multiple accepted papers, one full registration is valid for up to one paper. Input the EDAS paper ID of your paper during the registration process. Upon completion of a paid registration, an email message with the registration code will be sent to the registrant. This registration code must be entered into EDAS during the uploading process. Enter your conference registration ID by clicking “Registration code” link in your paper status. Click on “©” beside your paper. On the next page, click on “IEEE Copyright Submission” Button at the page. This redirects you to the IEEE eCopyright website. With the strong supports from industry and academia the international conference on Internet of Things has become the premier gathering place for visionary, academic researchers and practitioners around IoT. IoT 2015 is seeking for original, high impact research papers on all topics related to the development and social adaption of the Internet of Things. Papers will be reviewed and selected based on technical novelty, integrity of the analysis and social impacts and practical relevance. Recommended topics of submission are as follows, but not limited to. Physical world event processing: Novel data collection and analytics on massive amount of physical data stream achieving the unprecedented accuracy and disclosing the hidden mechanism among physical world events. Advanced manufacturing and logistics with IoT: Evaluation of challenges of real world deployments of Industries 4.0, Industrial Internet and GS1 architecture and conclusive suggestions for future deployments. Investigation of social and democratizing aspects of 3D printing technology and IoT. Internet of Things Architecture: Novel information architecture design on field device, edge device and servers in cloud, investigation of technologies supporting transitioning functional and processing allocation across system entities. Advanced data capture and networking technology: Advanced identification, access and networking technology including localization and image recognition system interworking with information system. Service and content oriented networking. Interoperability of IoT systems: Service and device discovery, synchronization of distributed directory systems, and semantic data description frameworks. Social Acceptance of IoT Systems: Data security, authentication and authorization. Privacy protection and tampering avoidance and detection in IoT systems. Preference will be given research that is backed by experiments and/or industrial adaption. Only full papers written in the English language will be considered for acceptance in the conference proceedings and must contain original material that has not been published in other publication venues or is currently under review elsewhere. Papers are limited to a minimum 6 to maximum of 8 pages including figures and should follow the standard IEEE Conference format. 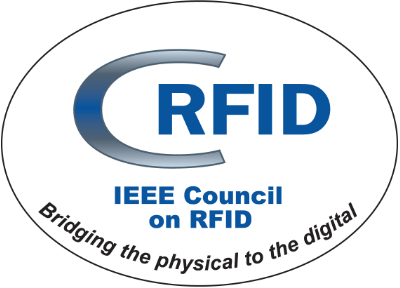 Papers will be reviewed in the double-blind fashion by a committee of experts in the IoT field and published in IEEE Xplore if accepted and presented at the conference. Authors should ensure that their names and affiliations are removed from the submitted document. Cases of plagiarism or multiple submissions will be subject to disciplinary action as per IEEE rules and regulations.